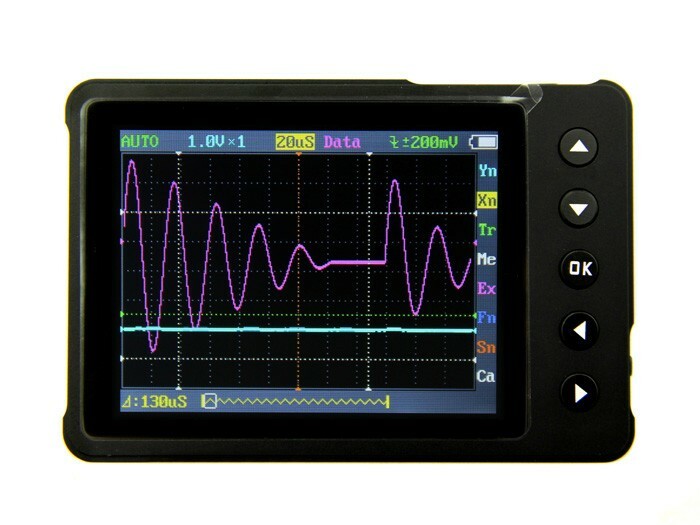 DSO Nano v3 is a 32bit digital storage oscilloscope. 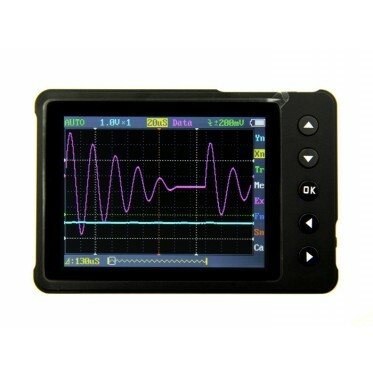 Based on ARM -M3, its equipped with 320*240 color display, SD card, USB port and recharging function. Its compact, simple to operate; meets the basic demands of school lab, electric furniture repairmen and electric engineering. 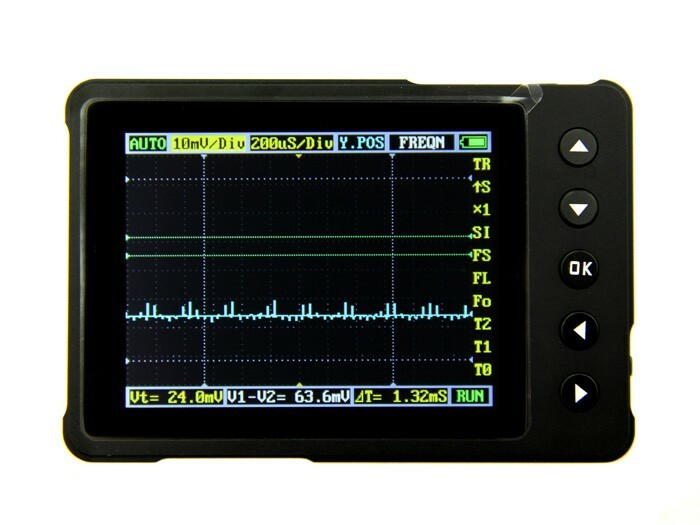 The version 3 of DSO Nano differs from version 2 in that it does not use white plastic shell. Instead, it uses black metal shell which is more durable and strong.